Sleep is essential to our overall health. It is very important because it supports the body in functioning properly. Getting enough sleep plays a big part on how we perform on a day-to-day basis. Unfortunately, in this day and age, most people just don’t get enough sleep, which affects us in every aspect of our lives. There are ways to aid in getting a better night’s sleep, like meditation and yoga. Yoga is known to relax both the body and the mind. It also improves breathing and reduces stress. This is why yoga promotes a restful sleep. Better sleep contributes to a better quality of life. You are well rested which allows the mind to function more optimally. For many, this is very hard to achieve naturally and without the help of prescriptive medications. Many of the medications that help you sleep put you at risk of addiction. Yoga is a far better option. This holistic method has been a proven method of fighting insomnia and abnormal sleep patterns. There are studies to prove this. According to an article in Psychology Today, there are a number of studies that have been done to prove that yoga is great for improving sleep, especially amongst people that suffer from insomnia. The article states that there was a study done at Harvard Medical School on 20 people. They all had different types of insomnia and used yoga as a tool to help them improve their sleep quality. Participants practiced yoga daily for eight weeks, keeping diaries of how much they slept and how many times they woke up throughout the night. They also marked down any other details they could provide of their nightly sleep. 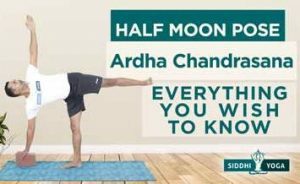 This was recorded for two weeks before the yoga regime began and for the entire eight week period of the study. At the end of the study, there were noticeable improvements on their overall sleeping conditions. The Department of Biobehavioral Nursing & Health Systems and Psychiatry and Behavioral Sciences at the University of Washington conducted a study with 13 women who suffered from osteoarthritis. The condition caused sleep disturbance. All 13 women completed an eight week yoga program consisting of a weekly 75-minute class and a nightly home practice of 20-minutes. The study showed that a standardized evening yoga practice was a great treatment option for women with osteoarthritis. Yoga also decreases insomnia in postmenopausal women, which was proven by researchers at the Departamento de Psicobiologia, Universidade Federal de São Paulo in Sao Paulo, Brazil. They did a study on 44 women between the ages of 50 and 65. Half of the women participated in yoga and half did passive-stretching. The participants that did yoga scored significantly higher in terms of reducing insomnia, as well as having a better overall quality of life. Practicing yoga will also greatly improve the quality of sleep and quality of life in the elderly. A study that was conducted by the Department of Pharmacology, Government Medical College in Nagpur, India and the Department of Integrative Physiology and Department of Pharmacology and Neuroscience at the University of North Texas Health Science Centre in Fort Worth, Texas helps prove this. There were 65 volunteers that participated in the study, all of which were over the age of 60. There were 35 people that practiced gentle yoga and 30 that did not. The yoga group showed overall better sleep quality, which included less episodes of disturbed sleep, falling asleep faster, using less sleep medications, and feeling more rested and energetic in the morning. There is a large population of people who suffer sleep deprivation all over the world. In fact, according to the National Sleep Foundation, 45 percent of all Americans say that lack of sleep has affected their daily lives. In the UK, 37 percent of the population said that they don’t get enough sleep. An additional 24 percent have some sort of sleeping disorder. This includes sleep apnea, oversleeping or grinding their teeth while sleeping. This is where yoga comes in, as there are many benefits of yoga before bedtime. Stress and anxiety play a large factor on sleep and whether or not you’re getting enough of it. The same is true for depression, which is why yoga is great for depression. A regular yoga practice will help alleviate stress and anxiety. It has the ability to lower cortisol levels and release tension, both of which are elevated in people who suffer from anxiety or depression. Yoga stimulates the parasympathetic nervous system. This is what helps you to feel relaxed in mind and body, resulting in a better sleep. 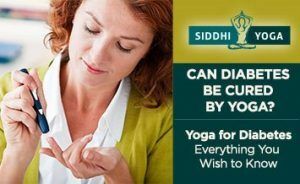 A study by Massachusetts General Hospital (MGH) and Beth Israel Deaconess Medical Center (BIDMC) found that the deep physiological state that one can achieve through yoga resulted in a positive change in several areas. This includes,; energy metabolism, immune function and insulin secretion which produces serotonin. There are two ways that yoga does this; by aiding the release of toxins and by increasing the circulation of oxygen. Toxins often get stored in organs and tissue, and yoga helps to release them. Also, pranayama (breathing exercises) replenishes the body and increases the circulation of oxygen. Doing yoga before bedtime will allow toxins to be released, will help calm the mind and will take daily stresses off of the body. It is a way to renew the body and all of its strains to help in getting a good night’s sleep. It is undeniable that yoga provides people with a sense of calmness. The combination of movements, holding poses and breathing, is a great way to calm the mind. If done before bedtime, yoga can not only prepare us for some shut eye physically, but also mentally. Yoga can also empty out the mind, or, at the very least, settle it. Often people have trouble sleeping because they have something on their mind that is keeping them awake. This could be work related, finances, relationship problems or planning for the next day. Doing yoga before bedtime will help relax the body and stop the mind-chatter. In order for our body to relax to a sleeping level, we need to shift our mind to a state of calm. Stretching before bed is a fantastic way to ease muscle and joint pain. Many people experience night time aches after a long day at work, especially those that work on their feet or sit at a desk the entire day. Without being able to ease muscle and joint pain it will be hard to have a sound sleep. A major benefit of doing yoga before bedtime is that you can release muscle tension right before your head hits the pillow. Things like snoring and sleep apnea are due to incorrect breathing. More specifically, over breathing or fast breathing. Snoring is often caused by stress, sinus problems, obesity or circulation problems, while sleep apnea is a common symptom of people that are tense, nervous or have a lung disorder. Yoga breathing techniques can help with both of these problems, resulting in a better night’s sleep. Doing these 5 yoga poses before bedtime will help you get a restful sleep and will help you feel refreshed when you wake up in the morning. The great thing about these asanas (poses) is that they can be done in bed. This pose stretches the back and the spine, releasing stress, which is great right before bedtime. It also quiets the mind, and stimulates the kidneys, intestines and abdominal organs. You might want to place a folded blanket or a pillow under the bent knee. People suffering from chronic knee injuries should avoid doing this pose. This restful pose calms the brain and helps relieve stress and fatigue. It also stretches the hips, thighs and ankles. Put a pillow under your head to relieve neck pain. People that suffer from back pain can put a pillow under their torso. Those that suffer from high blood pressure should avoid Balasana, as should people with knee injuries. A classic restorative pose, Supta Baddha Konasana calms the nervous system, improves blood circulation and stimulates the heart. It is also known to relieve symptoms of stress and mild depression, both of which contribute to sleep deprivation. 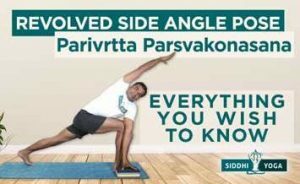 This pose can be done with a pillow under the head, under the knees or under the spine. Or even all three! Those that have knee or groin injuries should do this with some kind of support under the knees. A bolster or a rolled up towel works. 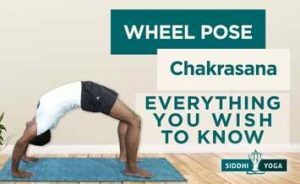 This powerful pose is an ailment for many things, including insomnia, anxiety, stress, headaches, menstrual cramps and menopause, all of which can impact sleep. It also relieves tired or cramped legs, improves circulation, and stretches the back of the legs and torso. This pose can be done by putting a folded blanket or pillow under the neck or along the spine. This asana should be avoided if you have glaucoma or serious neck injuries. Savasana rejuvenates the body, mind and spirit by releasing tension that the body and the mind is holding on to. It gets rid of the stresses of the day, promotes inner awareness and relaxes the entire body from head to toe. Doing this pose will decrease blood pressure, metabolic rate and oxygen consumption, while also increasing focus, concentration and energy levels. Those that suffer from back injuries can do this pose with knees bent and feet on the floor. Women that are pregnant should support the chest and head with a bolster or a pillow. Yoga is a great way to help you get a better sleep each and every night. Anyone that suffers from insomnia will quickly find the relief that they need with a regular yoga practice. It might be that your insomnia is caused by stress, anxiety, depression or an active mind. Yoga helps with all these problems. The improvements will be seen within weeks regardless of what time of the day it is practiced. That being said, doing a few simple yoga poses before bedtime is likely to have immediate effects. 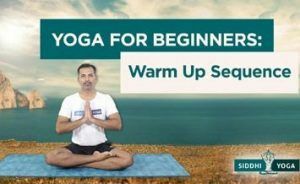 This simple yoga sequence is also a great place to start. Scientific explanation of all topics..